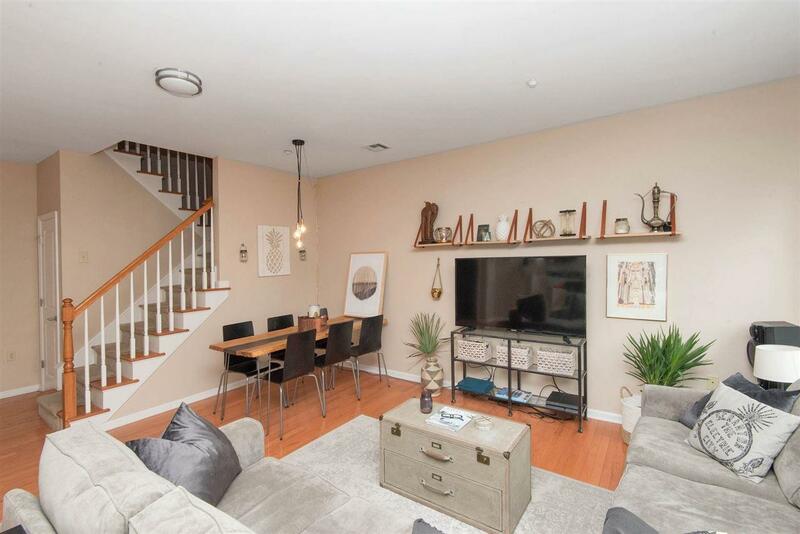 Feel welcomed home each time you open up to this expansive and sun kissed duplex on a quiet, clean, tree lined street. This spacious, 1,141 sq.ft. 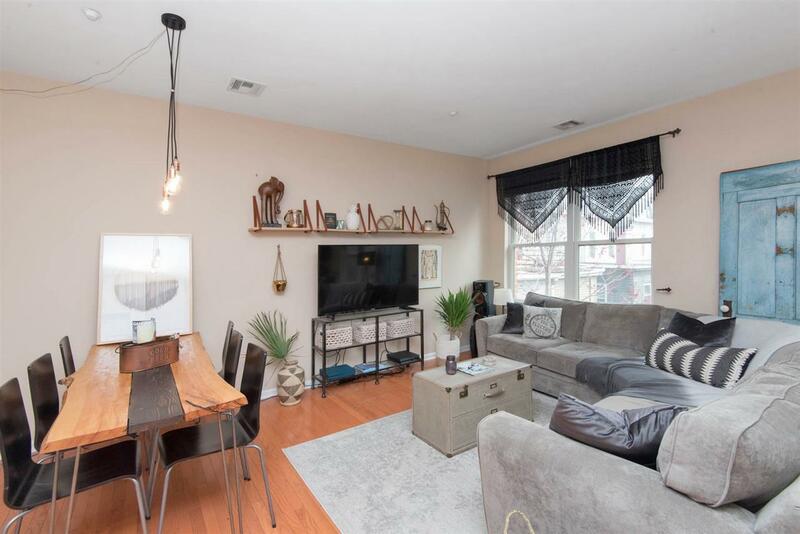 condo offers two large bedrooms with great closet space and lots of light, as well as two full bathrooms (double sinks in upper level second bath) with convenient deeded onsite parking. 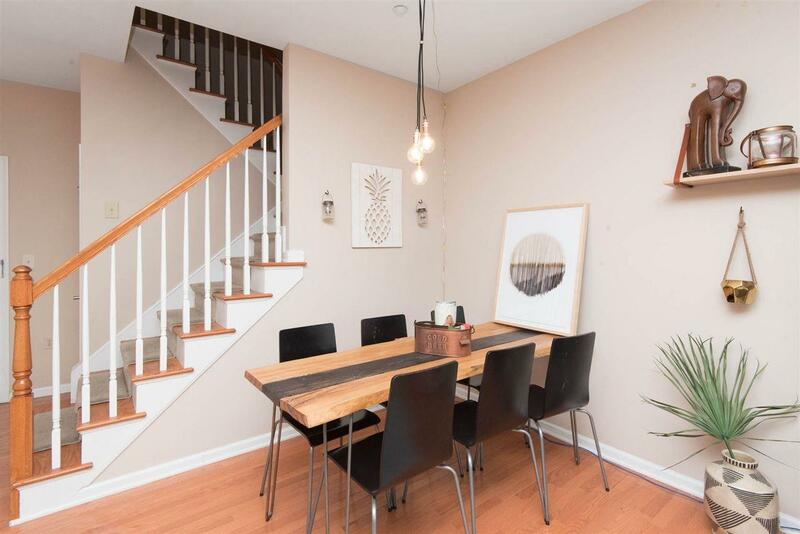 Your open living dining/area features stylish hardwood floors on the first level with a kitchen featuring stainless steel appliances, granite counter-tops and ample cabinet space. Carpeting is featured on the second level for that cozy touch. 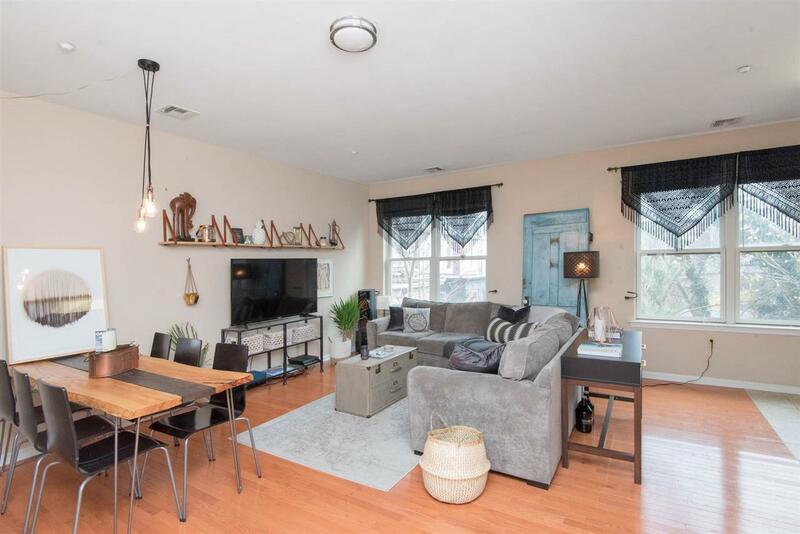 Excellent location - 7 mins walk from Journal Square PATH Station, so easy commute to NYC/Financial District. Buses run frequently and are only a block away. Shopping district is blocks away. Parks in the immediate vicinity, houses of worship, schools and Saint Peter's College. Fitness Room on 5th (top) floor. Laundry is in the building AND combo W/D in unit. Don't miss your opportunity to live in this luxury condo building that has it all! Perfect for growing families or anyone looking for a quality home with lots of space and storage. Inclusions All Major Appliances. 1 Deeded Parking Space. Listing provided courtesy of First Look Realty, Llc:201-589-1224.